Advanced Thermal Solutions, Inc. (ATS) is a leading-edge manufacturer of thermal management electronics. 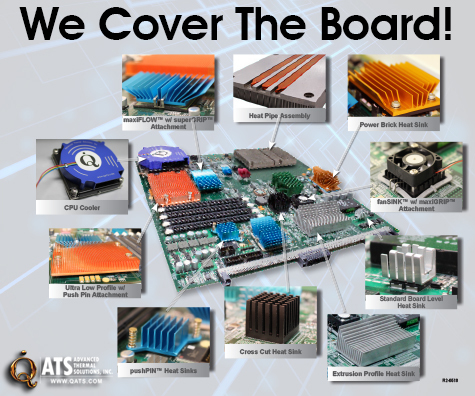 ATS is a complete thermal solutions provider and is world renowned for its portfolio of more than 5,000 high- and ultra-performance heat sinks, research-quality test equipment and leading-edge R&D. ATS has established its own manufacturing center in the U.S. and has formed strategic partnerships with Asian manufacturers.